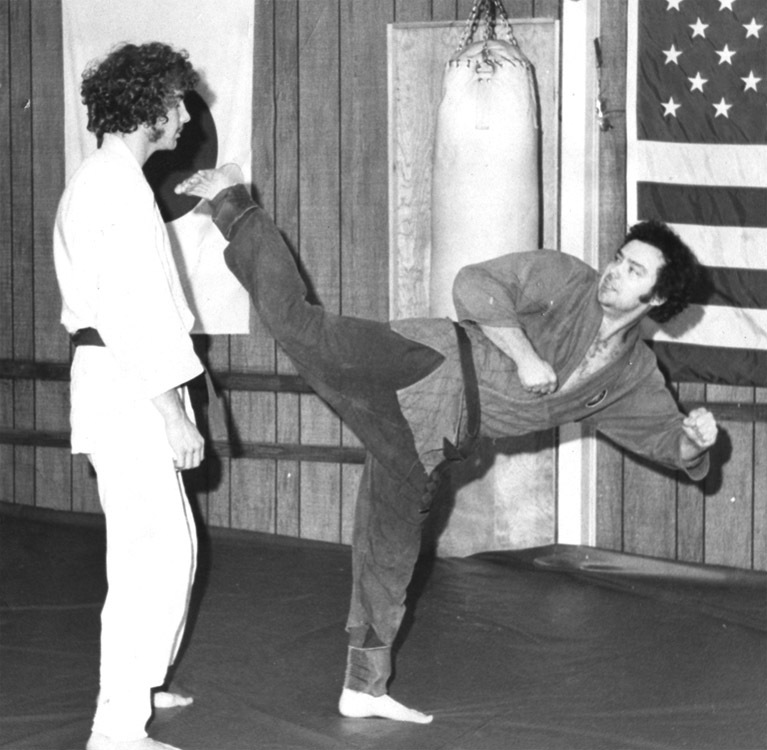 Multiple-opponent action in the 1970s. 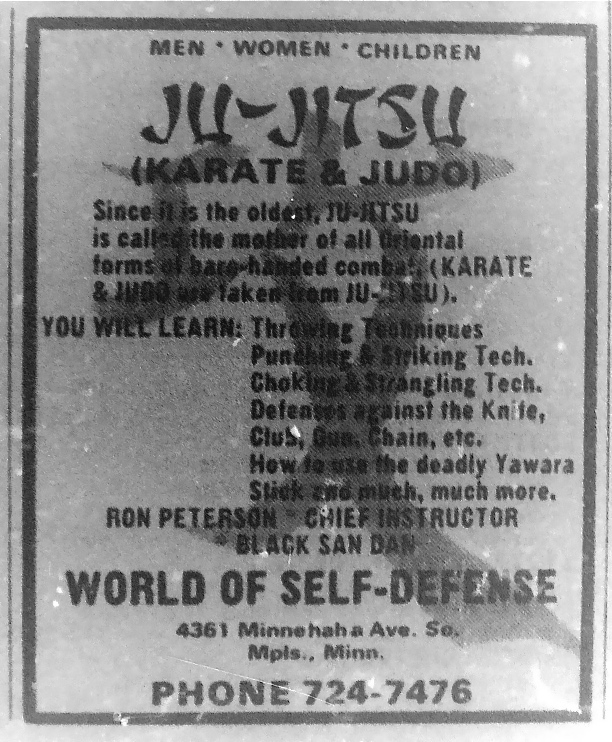 Note the "draftees" reference, the Vietnam war influenced how martial arts were advertised in the late 60's and early 70's. 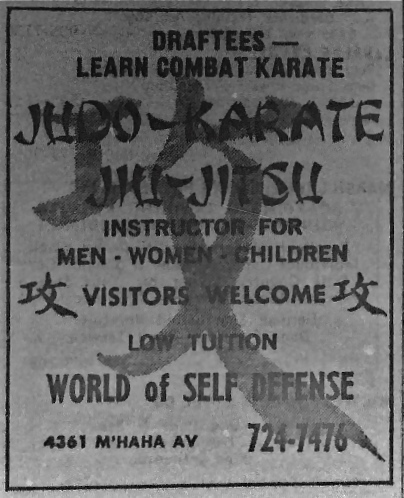 Also note how the spelling changes from Jiu-Jitsu to Ju-Jitsu, there are several ways the Japanese characters 柔術 can be spelled in English. 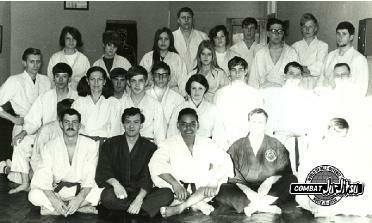 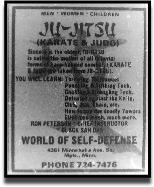 World of Self-Defense/Combat Ju-Jitsu is one of the oldest martial arts schools in the state of Minnesota. 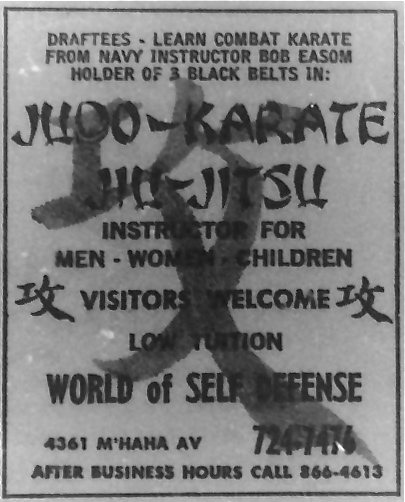 World of Self-Defense in Minneapolis was founded by James Bob Easom. 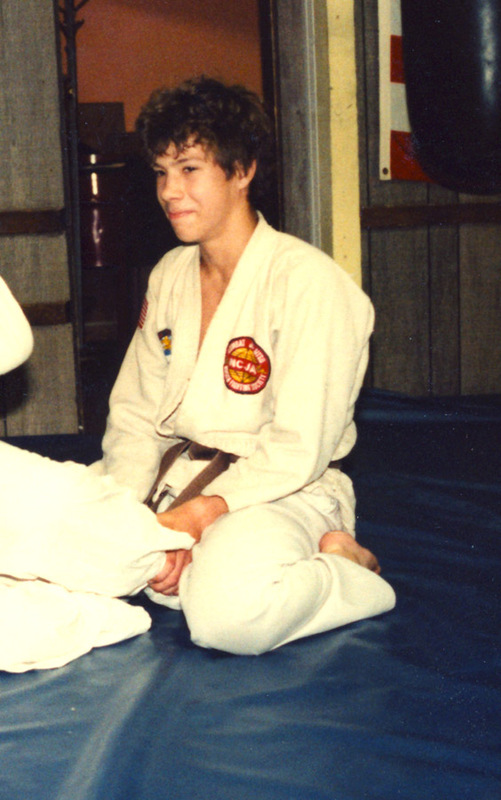 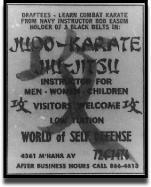 While serving in the US Navy, Bob Easom taught Karate, Judo and Ju-Jitsu (along with with noted AJJF/Hawaiian Ju-Jitsu instructor Bill Beach) at the former Twin Cities/Fort Snelling Naval Air Station, and decided to also offer training to the local civilian community. 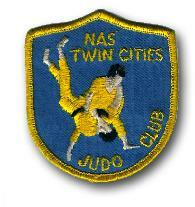 By 1968, we had a permenant location on Minnehaha Ave in South Minneapolis. 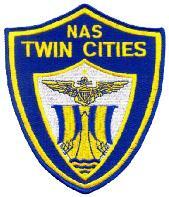 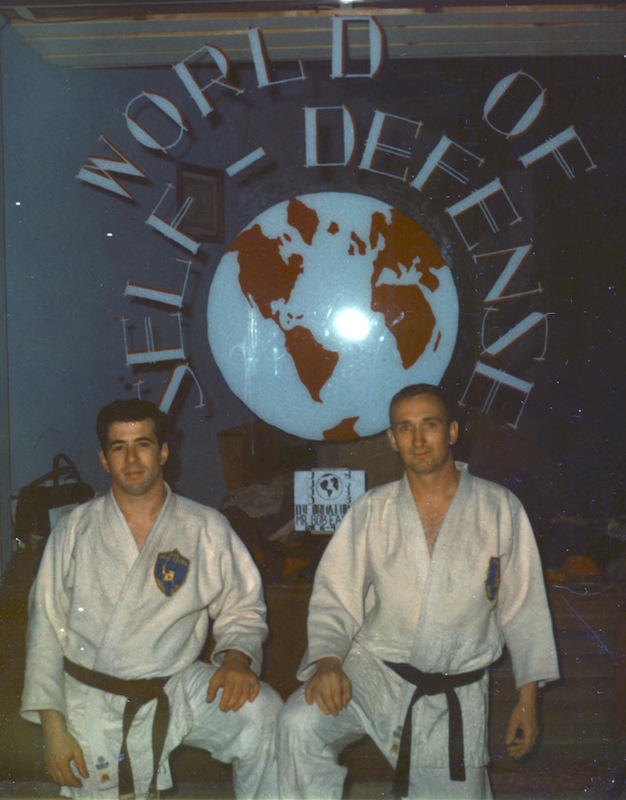 In 1970, Bob Easom was relocated by the US Navy when the Twin Cities Naval Air Station was decommisioned, and World of Self-Defense was taken over by his top Black Belt, Ron Peterson (1943-2018), who had also trained at the Fort Snelling Naval Air Station's Judo & Ju-Jitsu club. 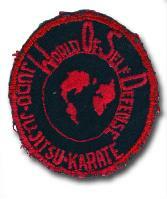 World of Self-Defense was affiliated with the Armed Forces Judo Association, the American Judo and Jujitsu Federation (AJJF) and the Kodenkan Karate Association until the mid-1970's, when World of Self-Defense organized its Kosen Ju-Jitsu association which stressed realistic self-defense and ground grappling. 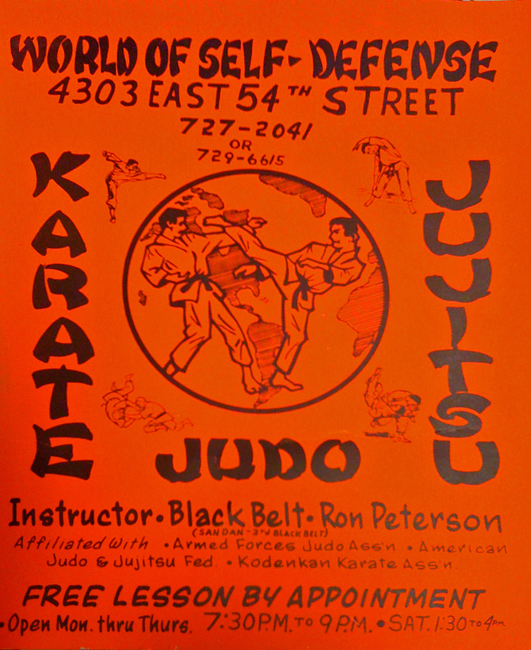 During this time we moved to our current location at 5406 43rd Ave.
World of Self-Defense/Combat Ju-Jitsu is now run by Ron Peterson's son Steve Peterson, who literally grew up with Ju-Jitsu, leading adult classes while still in his teens before eventually taking over the school from his father. 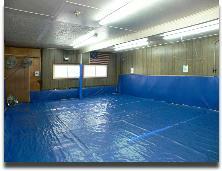 Steve has been head instructor for more than 25 years. 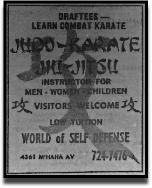 In the 1990's, "Mixed Martial Arts" events like the UFC increased public awareness of Ju-Jitsu's advantanges, and many students have found our club to be exactly what they were looking for.